With the advancement of DNA technology and the tools that are now available for scientists to interact with DNA, studying as well as testing the genetic code is getting more straightforward. Aiding the DNA testing is a process called DNA Electrophoresis that involves the separation of DNA fragments based on the difference in the sizes of these fragments. Back in 1970’s scientists had no option but to separate DNA fragments working tediously on principles of gravity. Electrophoresis in DNA testing can be carried out via two popularly known methods. First of these is the widely exercised Gel Electrophoresis method. This technique is based upon the fact that DNA fragments in a molecule are of different sizes by nature. DNA sample is placed inside a gel slab and is forced to travel via passing electric current. The direction of this fragment traveling is always from the negative to positive pole and since it’s easier for the smaller DNA fragments to move around the gel, these fragments start separating from each other as they travel with different speeds. Experts are able to realize the characteristics of the DNA fragments by learning the distance that different fragments traveled within the gel. For DNA molecules that are longer in shape, normally agarose gel is used for DNA electrophoresis. While polyacrylamide gel is utilized for the electrophoreses of DNA molecules composed of short lengths. The second method used for DNA electrophoresis is Capillary Electrophoresis. While it uses the same doctrine as gel electrophoresis, the basic difference is that instead of the slab format, DNA fragments are made to travel through a capillary. The capillary, just like the slab in previous method, also contains gel. DNA sample is brought into the elongated & thin capillary that is full of gel, and current is passed through, again from negative to the positive pole. 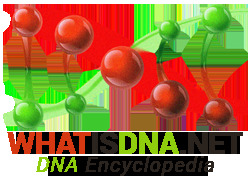 DNA fragments, owing to the difference in speed with which they travel through the extended capillary, start detaching from each other. A key point to note in both the above methods is that the more time the experts give DNA fragments to move along the capillary or slab, by keeping the current to its minimum, the more precise will be the separation of DNA fragments. In order to measure and analyze the results of DNA electrophoresis, specialized software and solutions are available. As for the Capillary electrophoresis, the findings are presented in electropherogram.